In 10-inch skillet, heat oil over medium-high heat. Add chicken; sprinkle with salt and pepper. 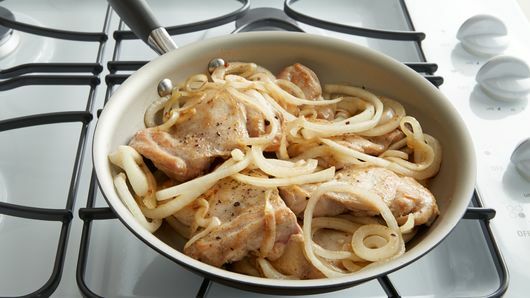 Add onion slices; cook 4 to 5 minutes, turning chicken once, until chicken is brown on all sides. Add beer; heat to boiling. Reduce heat to low; cover and simmer about 10 minutes or until chicken is fork-tender and juices run clear. Stir in bell peppers. 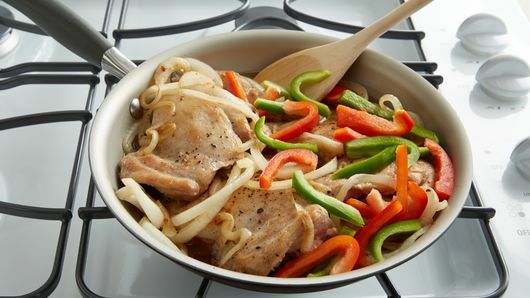 Increase heat to medium; cook uncovered 5 minutes longer, stirring occasionally, until peppers are crisp-tender. 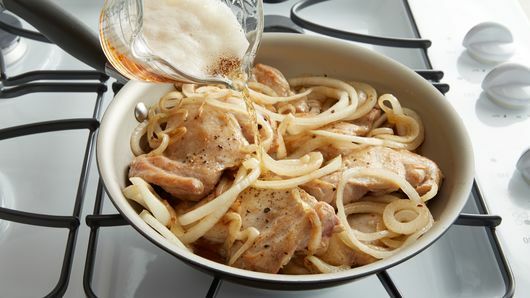 Dark beer or nonalcoholic beer can be used in this recipe. 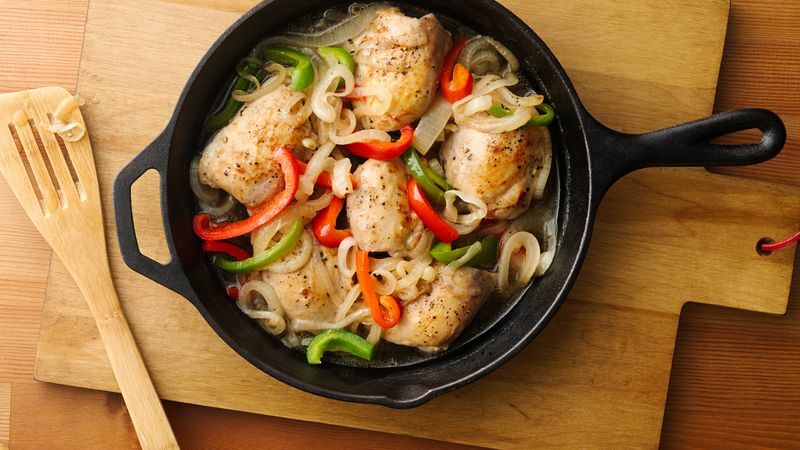 Use boneless skinless chicken breasts in place of the thighs, if desired.